This group of buildings comprising the Jubilee Building, Hackett Hall, the old Gaol, Government Geologist’s Building and the first State Art Gallery represent many layers of social and cultural history, having gradually over the years transformed from being part of Perth’s main justice precinct to forming its main cultural precinct of important literary, artistic and scientific buildings. Designed by some of Western Australia’s most skilled and visionary architects – George Temple Poole, John Grainger and Hillson Beasley – the buildings are a striking collection of the Federation Romanesque style that together create a harmonious family of related structures which are rare not just in Western Australia but also nationally. They also have strong regal connections, with most of them having been built in response to various celebratory milestones of the monarchy or opened by members of the monarchy, as well as connections to the major economic boom times and celebrations in the State. From the early 1890s, the Museum and Art Gallery were initially housed in the old Perth Gaol which had been built here on James Street in 1855. 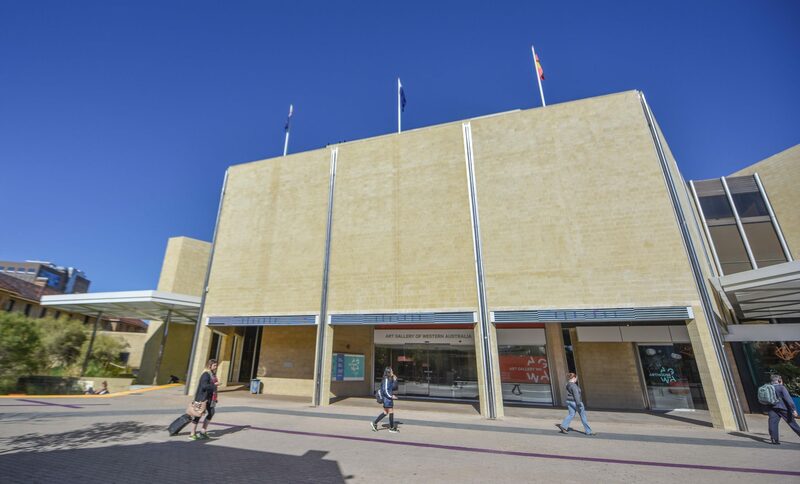 When the Jubilee Building (the original WA Museum building) was officially opened in 1897, it was the first combined Museum, Art Gallery and Library for Western Australia, purpose-built to house the State’s growing and diverse collections. As the State’s collections expanded, as did its wealth derived from the gold boom of the late 19th early 20th century, further buildings were added to the precinct. In 1903, the first purpose built State library – the Victoria Public Library (now demolished) – was constructed. The Government Geologist’s Office was also built in 1903, on the corner of Beaufort and Francis streets to provide office and workshop accommodation as well as exhibition space for geological specimens and models. The new Art Gallery, facing Beaufort Street, was completed and opened in 1908 also designed to harmonise with and link to both the Jubilee Building and the Government Geologists building. In 1913 an extension to the Public Library was completed, named Hackett Hall, which served mainly as the reading room for the Library until it was later integrated into the Museum. From its establishment in the 1890s and development into the early 20th century, the precinct typified the Victorian passion for eclectic collecting, cataloguing and viewing collections. It was a hub for books and reading, a place where native flora and fauna were categorised, taxidermy was practised and where exotic species were displayed. It was a place of self-guided viewing, public lectures and an enormous range of activities and events. 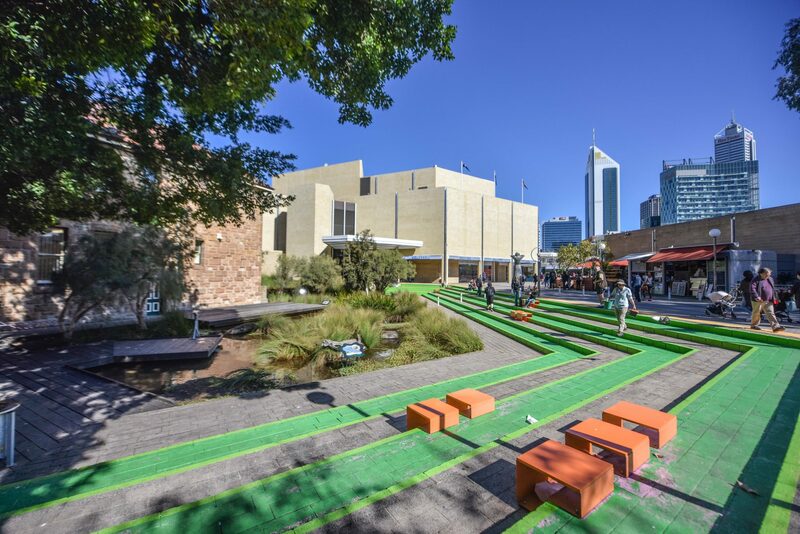 As changes and different attitudes have emerged to the function and presentation of museum collections, artworks and library resources, the precinct has responded to these changes with adaptations to the heritage buildings and new buildings added, as well as the evolution of exhibits and activities in response to more contemporary community expectations to maintain the precinct’s position as Perth’s Cultural Centre. This group of buildings comprising the Jubilee Building, Hackett Hall, the old Gaol, Government Geologist’s Building and the first State Art Gallery represent many layers of social and cultural history, having gradually over the years transformed from being part of Perth’s main justice precinct to forming its main cultural precinct of important literary, artistic and scientific buildings. 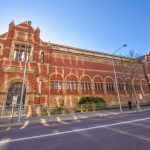 Architecturally, the buildings are a striking collection of the Federation Romanesque style that together create a harmonious family of related structures which are rare not just in Western Australia but also nationally. They also have strong regal connections, with most of them having been built in response to various celebratory milestones of the monarchy or opened by members of the monarchy, as well as connections to the major economic boom times and celebrations in the State. The old Perth Court House and Gaol was built on James Street in 1855/56, which was the second such building in Perth, the first one being located closer to the river on Barrack Street. It was designed by architect Richard Roach Jewell, Clerk of Works for the Colonial Establishment, although only the first stages of his building design were completed. By 1863, the gaol accommodation had reached capacity and so the court room function was transferred back to the court building in the Supreme Court Gardens. In 1888 the gaol was completely closed and used as government offices. 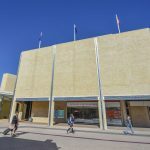 When the Jubilee Building (the original WA Museum building) was officially opened in 1897, it was the first combined Museum, Art Gallery and Library for Western Australia, purpose-built to house the State’s growing and diverse collections. However, the construction of the Jubilee Building and what it represents, along with all the other buildings in the precinct, goes back much further in time. Perth’s first museum was set up in the mid-1870s in the Mechanic’s institute on St George’s Terrace. In the 1880s, plans emerged for a proper museum, library and art gallery. 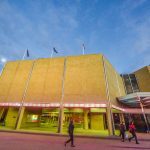 Originally it was proposed to be built on St Georges Terrace and opened in honour of Queen Victoria’s Golden Jubilee in 1887. However, only the foundation stone was laid in time for the Golden Jubilee and the building plans were put on hold for some years with a library, called the Victoria Public Library, temporarily installed in an old WA Bank building and the museum staying at the Mechanic’s Institute. After much community agitation, the museum was moved in 1892 into the old Perth Gaol which had been built here on James Street in 1855 but which was now being used as government offices. It was called the “Perth Geological Museum” and located in the old gaol chapel. In 1895, the museum expanded, taking over the rest of the three storey gaol complex and a new Zoological Wing was added, and the first Perth Art Gallery was then moved into the old chapel. It was enlarged in 1895 with Having been located in the old gaol, humorous references often appeared in the local newspapers of the day about the museum’s exhibits of “gaol birds” and then the work of the gallery’s “hanging committee”, the latter which was a little too close to the truth as in fact there were hangings carried out at the old gaol. With another celebration for the monarchy looming, this time Queen Victoria’s “Diamond” Jubilee in 1897, it was seen as the perfect opportunity to not only honour the monarch and to celebrate the achievements of the colony but also to reignite the plans for a proper museum, library and art gallery. This became even more pressing when the bank building housing the library had been sold, and new premises had to be found or built. With the gold boom hitting its straps, the State Government was in a much more stable position to realise its original 1887 vision and committed a parcel of land on James Street as well as funds for the construction of a comprehensive complex that would finally bring the State’s cultural collections together. The building was to be called “Jubilee Building” and its design guided by the vision and architectural skills of the Public Works Department (PWD) Chief Architect, George Temple Poole. Although, like the first library building, this building was nowhere near completed in time, a foundation stone was again at least laid when the Queen’s Diamond Jubilee was officially celebrated in June 1897. Construction continued in earnest and the “Victoria Public Library” moved into the ground and first floors in 1897 and by 1899 the rest of the building was finally completed with the Museum moving into the gallery on the top floor. The Jubilee Building, constructed in Donnybrook stone, Rottnest stone and locally made bricks, was not only a handsome structure but also an exciting and new phenomena for West Australians. The range and type of items in the collection and the way in which they were exhibited typified the Victorian passion for eclectic collecting, cataloguing and viewing collections. It was a hub for books and reading, a place where native flora and fauna were categorised, taxidermy was practised and where exotic species were displayed. It was a place of self-guided viewing, public lectures and an enormous range of activities and events. 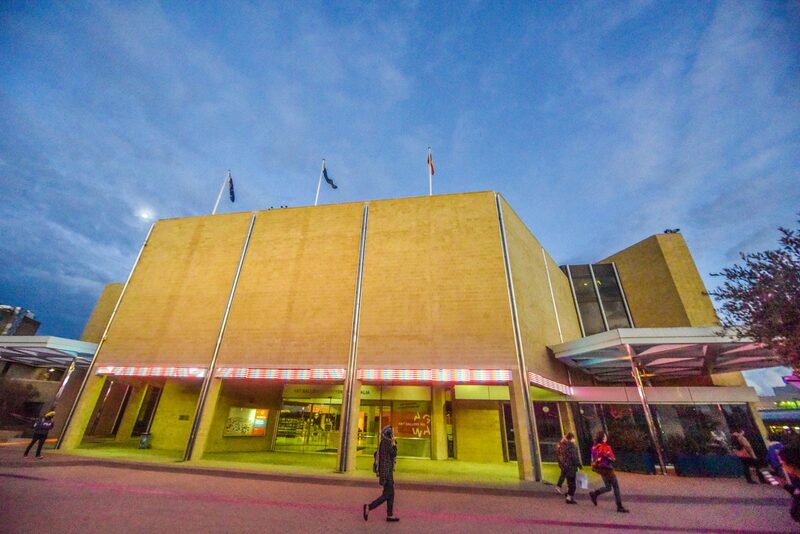 It was to have a profound influence on the construction and purpose of the remaining buildings that were subsequently added to the precinct, and which would eventually lead to the formation of Perth’s Cultural Centre. From the time the Jubilee Building was built, there was jostling between the Museum and Library for space. It was always the intention that the whole of the building would be given over to the Museum eventually. It was even noted at the opening ceremony that the Library had got in first and Mr James Sykes Battye, the first chief librarian, had stoutly refused to come out of his premises, but given he was doing such good work the museum committee did not have the heart to dislodge him. So it was not surprising that planning for a new Public Library building commenced almost immediately. As well as a Library, the State’s first purpose-built Art Gallery was also being planned, both being designed by Poole’s successor at the PWD, John Grainger (father of composer Percy Grainger). The laying of the foundation stones was held to coincide with a visit to Western Australia by the Duke of Cornwall and York (being George V who became Prince of Wales and later King of the United Kingdom) to commemorate Her Late Majesty, Queen Victoria, and the Federation of Australia in 1901. The new Victoria Public Library was opened in 1903, although it shortly after dropped Victoria’s name and became the Public Library of Western Australia. Entered from James Street, it was a three storey building running north-south (across from the present State Library building) featuring a light well in the centre of the roof. Once the library vacated its floors in the Jubilee Building, this became a dedicated museum. At the same time, the Government Geologist’s Office was also built in 1903, on the corner of Beaufort and Francis streets. This three storey building provided office and workshop accommodation for the Government Geologist and his staff and exhibition space for geological specimens and models on the third storey. This was a unique building as Western Australia was the first State in Australia to employ a government geologist. The building, another of Grainger’s designs, was constructed of a granite base, brick walls and dressed with Donnybrook stone as well as some of the Rottnest stone left over from the museum and library buildings. It was intended for the Geologists Office to be an extension of the Art Gallery, however it would be some years before the Art Gallery was built, owing to the death of the then Premier George Leake who was a great champion for the gallery. It was finally completed and opened in June 1908, under the supervision of Grainger’s successor, architect Hillson Beasley. 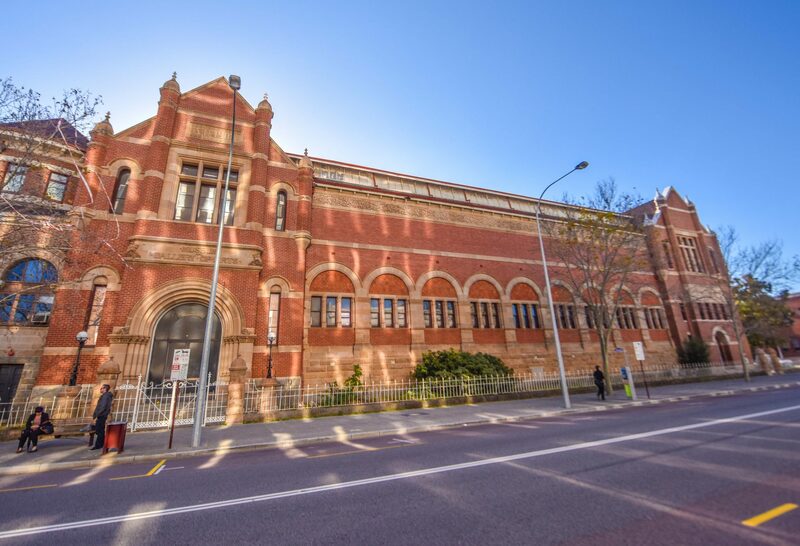 The Art Gallery, facing toward Beaufort Street, was also designed in the Federation Romanesque style to harmonise with and link to both the Museum’s Jubilee Building and the Government Geologists building. The Art Gallery employed what were then the most contemporary approaches with a sculpture gallery on the ground floor and a painting gallery – which became the Hellenic Gallery (later renamed the Katta Djinoong gallery) – on the first floor top lit by a clerestory window and a Parthenon frieze making it a space of high artistic merit. In 1913 an extension to the Public Library was completed. The new building, built adjacent to the Jubilee Building, was named Hackett Hall after Sir John Winthrop Hackett, and served mainly as the reading room for the Library. It was designed by Beasley who adopted a similar style and construction materials to the other buildings. From the 1950s, many significant changes to the precinct started to occur. This was initiated by several main events, including the separation in 1955 of library services from the museum and art gallery, the start of the second major mining boom in WA (this time nickel) in the 1960s, as well as the upcoming 150th anniversary of the British settlement of WA in 1979 which in turn created a rising interest in Western Australia’s history and heritage. The old gaol, which was the first location of the Museum and Art Gallery had been gradually deteriorating until its significance as one of the oldest buildings still standing in Western Australia was finally acknowledged and in the 1970s it was adapted and conserved to become the museum of Western Australian history. In 1972, the Museum expanded with the construction of a new mulita-storey museum building on Francis Street (now demolished). 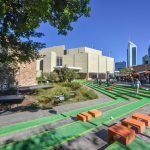 The building of new Police Headquarters and facilities in East Perth also earmarked changes with the final transition of the precinct into one dedicated to culture and the arts. In 1976, the former Police Barracks (across from the Jubilee Building) was refurbished and adapted for the Art Gallery administration staff and then in 1977 the new modern Art Gallery was built and the original Gallery taken over by the Museum. Planning also began to bring the Library collections scattered across several buildings into a single building. In 1985, the new State Library, called the Alexander Library, was opened, with the 1903 Library building demolished and Hackett Hall becoming part of the Museum. In 2016, the major redevelopment of the WA Museum commenced.